CLICK HERE to view a list of our upcoming 2019 Programs. 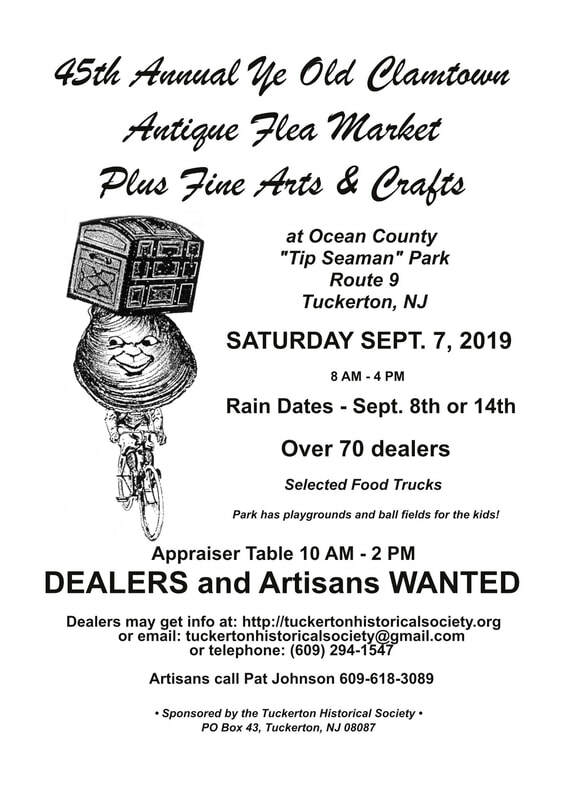 April 27, 2019 - Tuckerton’s Oyster and Clam History. Dale Stewart Parsons is a fifth generation baymen and seafood purveyor in Tuckerton. His family has been making their living from the bounty of the bay since 1909. Beginning in the 1990s Parson began teaching himself aquaculture and now raises clams and oysters from larvae to plant them on his clam beds in Great Bay. Parsons is part of the Barnegat Bay Partnership’s Shellfish Working Group that is rebuilding an oyster reef in Little Egg Harbor Bay. Giffordtown Schoolhouse Museum, 35 Leitz Blvd., Little Egg Harbor, 609-294-1547, 2-4PM. to enlarge or reduce the web pages. to display some links on this site.